There’s nothing more wonderful than seeing birds in your back yard. Here’s an easy and fun way to attract all sorts of different birds. Not only are these fun to make for your back yard but a great and easy gift for friends and family. 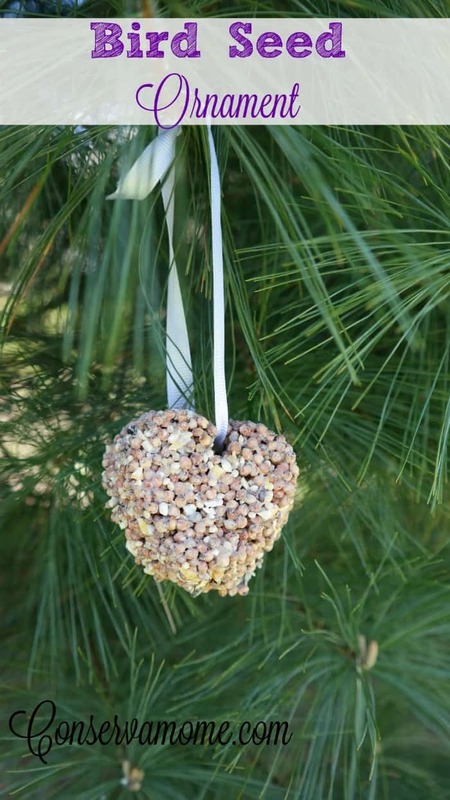 All you will need are a few ingredients and you will have a gorgeous and fun bird seed ornament to enjoy. 4 Cups of your favorite Bird Seed You can also add some fruits and nuts to it as well. A cupcake pan or individual silicone shaped cups. I use silicone heart shape cup cake molds in the video. You can check out the process below on how to make it. Most important this is an easy and fun project you can do with kids. It’s a wonderful way to tie in nature and contribute to the beauty around us. This also makes a great party favor for a wedding,baby shower or just because. This mixture makes quite a few if you use the heart silicone cups and can be made for less than $15 a batch . These are so cute!! What a nice project for a rainy day! What a great idea! My kid loves to watch birds at my parents house. He’ll love watching birds at home… And the cat too! We have so many birds in our backyard and I know that my grandkids would have fun doing this project and finding a good place to put it. A great recipe to try out with my three year old son! These will be so fun to do with my 5 year old! This is a fun project and would also be easy to do with kids. This is a cool idea and fun project to do with the kids. This is neat. I will try this with my grandchildren. Thank you! My son really enjoys watching birds, so I will have to do this with him! We love to watch birds, need to do this! My mil has a ton of bird feeder and she loves them. She would love this. My son would love this! Thank you so much for sharing! I’m definitely going to make these with my kids! Oooh I love these!! My son and I will definitely be making them!! We tried the peanut butter pinecones and they were SO MESSY!!! great idea, especially for places without feeders!